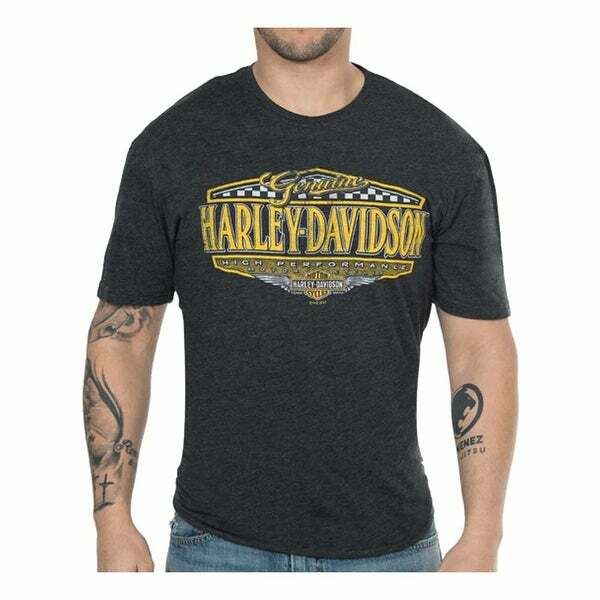 Harley-Davidson® Men's High Performance Rival Short Sleeve Crew Shirt – Black, 30298438. Classic Harley-Davidson® style, featuring race track flag top, Harley-Davidson® script, and a winged Bar & Shield. A new take on a vintage design. Back features our Wisconsin Harley-Davidson Dealer logo. Classic crew-neck style, traditional comfort fit. Extremely soft high-quality short sleeve shirt, made from a polyester-blend. This t-shirt has it all; comfort, quality and of course style! 30298438.